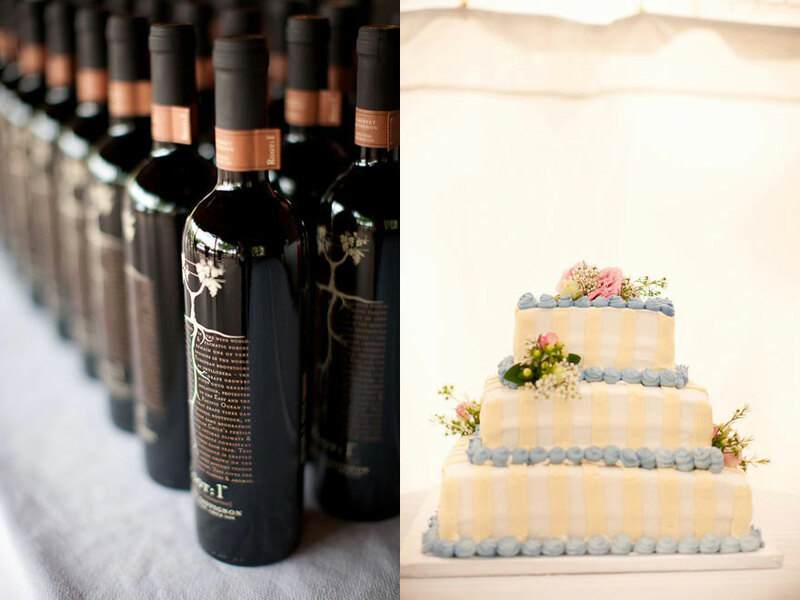 Home » Luxury spots » Would you consider the idea of having your wedding on a guest ranch ? In case you are planning to get married soon, most certainly you would like to have an unforgettable moment. After all, your wedding is one of the most important moments in your life so making it special is a must. Since the venue is of the utmost importance and will take most of your budget when it comes to organizing a wedding, you probably want something that is worth your money and effort, something that will help you gather memories that you’ll end up cherishing for the rest of your life. . Well, having said all this, would you consider the idea of having your wedding on a guest ranch? Many people haven’t considered this option, although they should, as ranches are the perfect combination of elegance and a beautiful setting. The best part about a wedding at a ranch is that it can be enjoyed throughout the year. No matter when you decide to have your unforgettable wedding, the scenery at the wedding will be mesmerizing. It depends on the season you prefer the most and the ranch will take care of the rest. 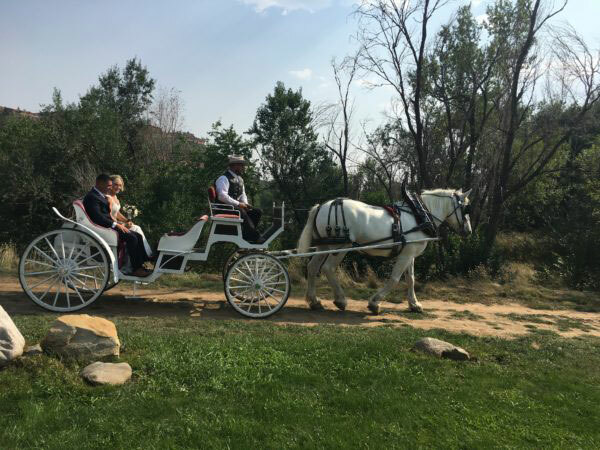 Believe it or not, a dude ranch has everything you need when it comes to organizing a wedding, so you won’t have to be stressed out by the planning part. We all know that the wedding is one of the most important moments of your life, so quality is a must. This is why you should choose to celebrate this event at reliable ranches only. I warmly recommend selecting one of the ranches that are members of the leading and highly selective Dude Ranchers Association, which is a reference to quality and high standards since 1926. To come to your aid and help you choose easier, all ranches stated in this article are members of the Dude Ranchers Association. 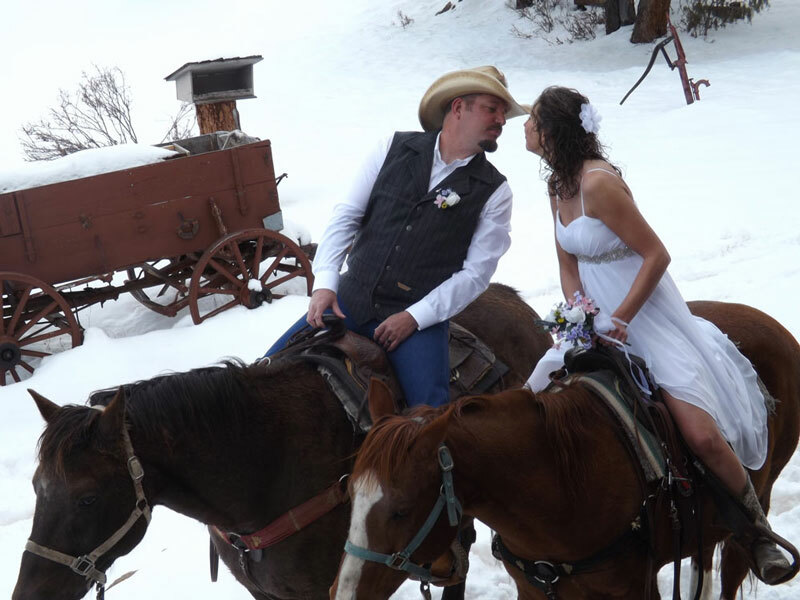 Also, once your wedding ceremony, reception, and party are over, you can stay at the ranch to enjoy your honeymoon. As you will discover, there many amazing things you can do at a dude ranch that will make your time spent there extremely pleasant, relaxing, and fun. 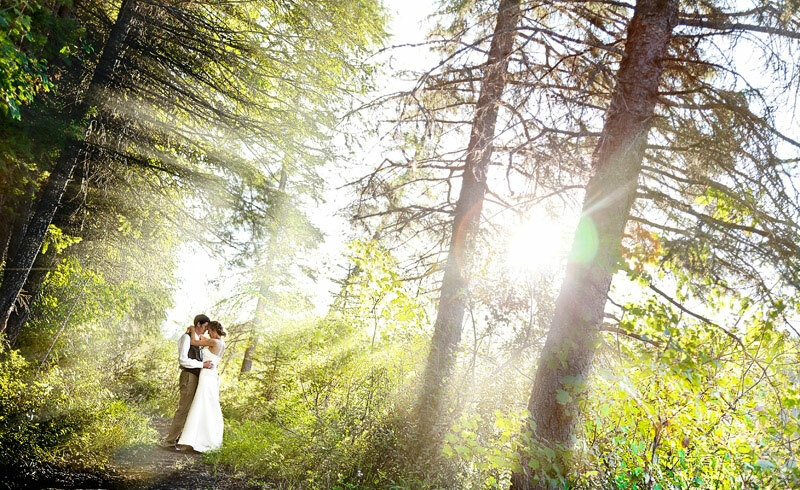 Not to mention that a dude ranch is ideal if you always dreamt of a wedding in the outdoors, surrounded by gorgeous natural scenery. 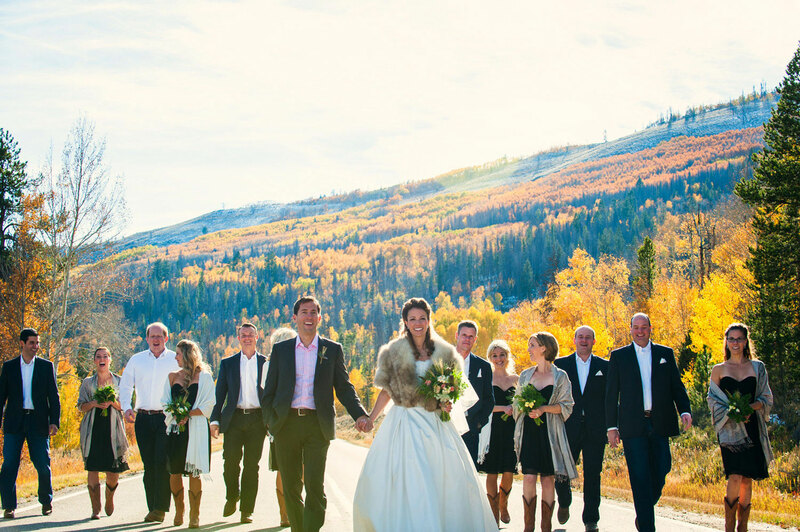 If the idea of a wedding at a ranch grows on you, then let us take a closer look at some of the best ranches to consider. Located in Wickenburg, Arizona, Rancho de Los Caballeros is surrounded by scenery that is just like in the stories about the Wild West. The rooms are decorated with fine taste and elegance, but in the spirit of a ranch, so expect to find a lot of natural materials like stone and wood. But, in spite of the rustic appearance, this ranch offers luxurious experiences. With a pristine golf course, spa, and fine dining experiences, you will certainly be charmed by this location. When it comes to its capacity, the ranch can house 75 guests, so you can easily organize a wedding at this gorgeous location. The Tanque Verde Ranch is a resort that was made to be a luxurious destination right from the start, an aspect that is extremely well guarded at this resort. 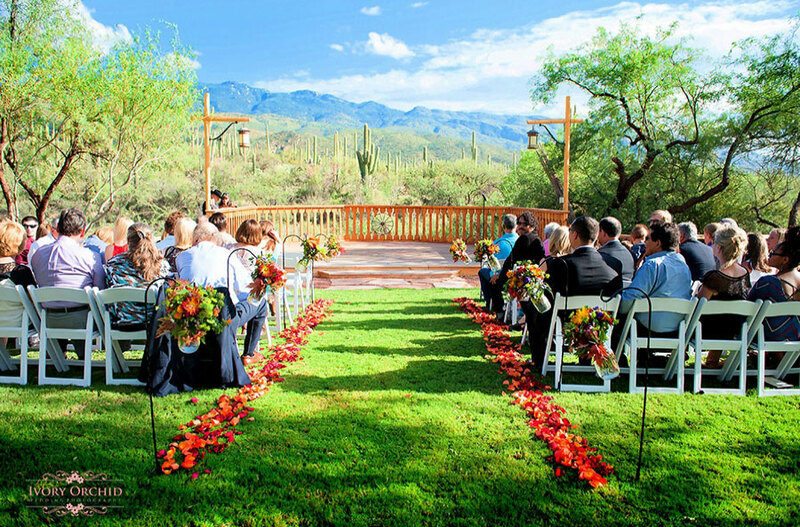 It is located in Tucson’s most beautiful part, with a landscape that is simply breathtaking. So, if you want scenic photos for your wedding, this particular ranch may be just what you’re looking for. The resort has received several awards over the years, like being included in the Top Ten Family Resort, a top 10 list composed by Travel Channel, or the Best Dude Ranch in Arizona. So, if you want the best, you will get the best at this ranch. With a multitude of activities that can be enjoyed outdoors, pools, campfires, live entertainment, and more, this particular ranch can meet the requirements of every visitor. 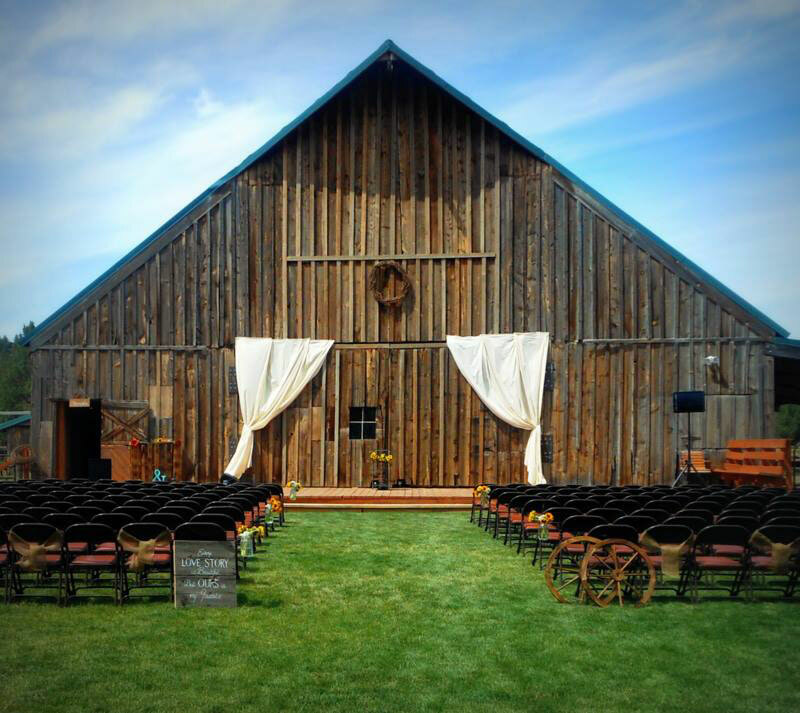 Located in Loveland, Colorado, the Sylvan Dale Guest Ranch seems to be predestined for weddings. 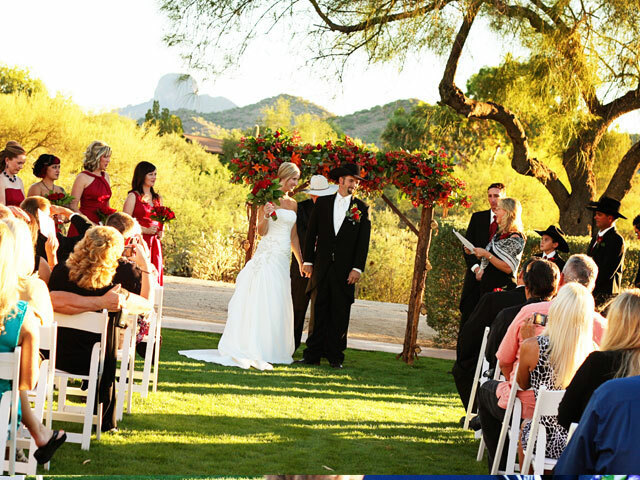 Surrounded by gorgeous scenery and having not just plenty of space but also exceptional services, this ranch can make your wedding day unforgettable. You, your future spouse, and your wedding guests can enjoy the resort’s chic cabins, decorated in the classic western style while providing top-notch comfort. After the wedding, you can easily choose to stay on the ranch for your honeymoon and create wonderful memories with your loved one. You can explore the outdoors on a horseback ride, relax at the pool, enjoy overnight pack trips, sit by the fire at night, and many other adventures. The ranch adopted green practices for as long as it exists, so you can be sure that everything done here is in communion with nature. A ranch can be a very elegant and comfortable place to stay, as proven by C Lazy U Ranch, located in Granby, Colorado. The ranch is surrounded by stunning natural landscape while providing accommodation options for all tastes and budgets. 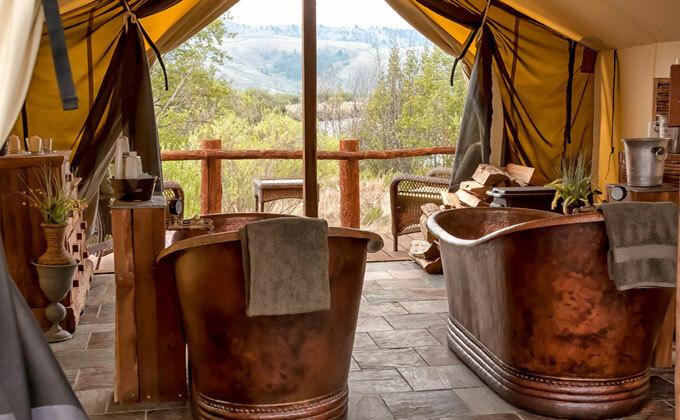 From basic to deluxe rooms, with minibars and jetted tubs, almost all the rooms on the ranch have a cozy fireplace and a view out the window that is worth millions. Also, due to its conference facilities, which can house up to 80 people, you can easily organize your wedding here. 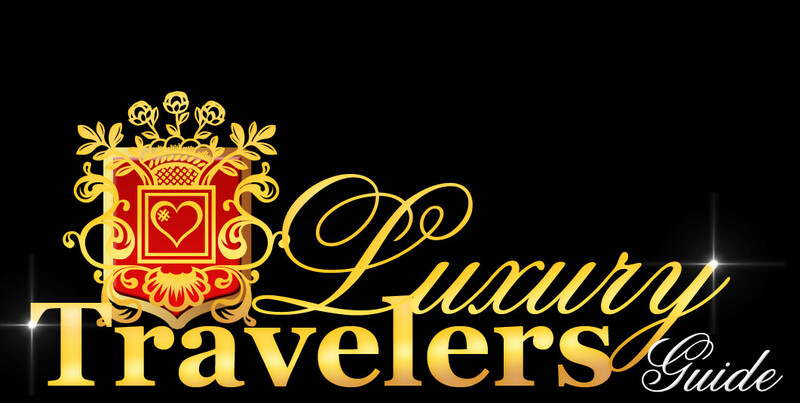 The staff here is experienced when it comes to such events and will provide everything you need for a memorable event. After, don’t hesitate to stay a bit longer and enjoy the fun and exciting life at the range. With the help of fun activities and comfortable accommodation, you will certainly have one of the best vacations of your life. If you want to see what’s really like to live on an actual cattle farm, then you need to visit Alisal Guest Ranch & Resort. This ranch still takes care of livestock like in the good old days, while offering accommodation, food, and entertainment at modern standards. Located in Solvang, California, this 10,000-acre ranch is more than capable of becoming the ideal venue for your wedding. It has dining areas indoors, just in case the weather changes its mind, but it can also organize dinners outdoors, on the terrace or nearby deck, right next to the waterfront. The ranch also has a generous outdoor pool, golf courses, a private lake, and many more amenities that wait to be discovered by its guests. This ranch is hidden away in the lush forests of the mountains, while being, at the same time, very close to an airport. The Denver International Airport is just 100 miles away from Sundance Trail Guest Ranch, which is located at Red Feather Lakes, Colorado, but this won’t bother your stay at the ranch, as the thick forest trees will protect you from any noise. It is also a picturesque venue for your wedding, providing not just the gorgeous scenery that will decorate your wedding, but also a beautiful place, called the Carriage House, for your wedding’s reception. So, you can easily celebrate this extremely important event in your life in the warm, cozy, and rustic atmosphere of the ranch, while having the possibility to extend your stay and enjoy the fun activities at the ranch. It is worth mentioning that this guest ranch is pet-friendly. This is a beautiful ranch with a long history in its background, as the original buildings that compose the ranch are over 100 years old. They have been, of course, renovated and reconditioned for the benefit of the ranch’s guests, but without destroying their old charm. So, if you appreciate history, the chic appearance of traditional ranch houses, natural beauty, and a sense of freedom, this ranch has them all. You can find it in Sisters, Oregon, and it is one of the places that you definitely need to visit, as it will make you feel like visiting grandma’s house once again. 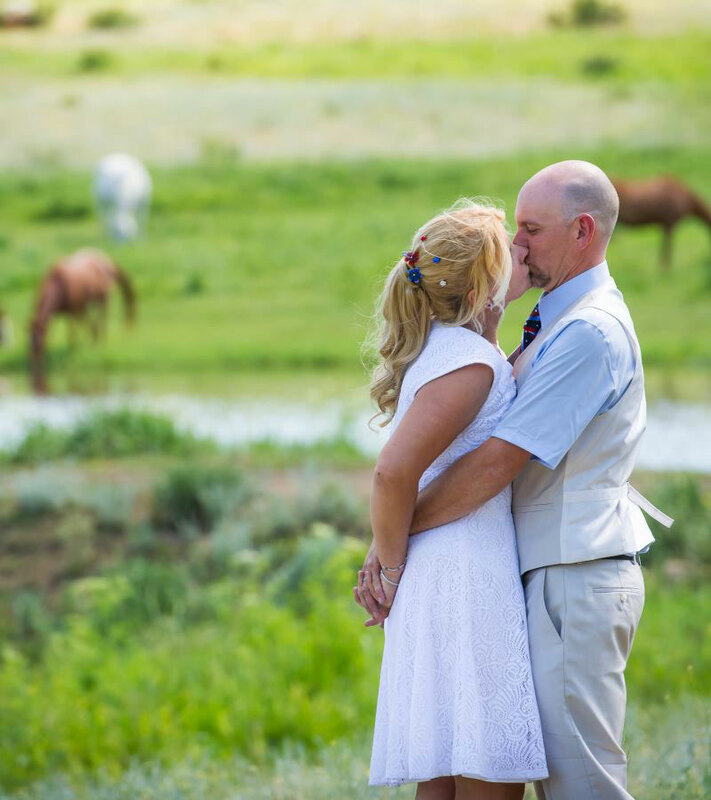 But due to the gorgeous scenery, amazing accommodation options, and great services, the Long Hollow Ranch can also host your wedding reception. If you always dreamt about having your wedding outdoors, surrounded by a green landscape, then this is the place to be. You will love the intimacy and coziness provided by Bar W Guest Ranch, a small but elegant ranch located in Whitefish, Montana. It is the ideal place to sit back and relax, as time passes slower here, giving you the opportunity to unwind and recharge your batteries. Due to the fact that it can provide accommodation to a maximum number of 30 guests per week, this is the kind of location that is perfect for small and intimate weddings. If you plan on having just your family and close friends with you on your most important day, then this ranch will see that you won’t miss a thing. And judging by the stunning views the area can offer, we can tell that it is going to be a breathtaking wedding.